Family friendly, budget friendly, and with a decent range of mixed ability terrain, little Montgenèvre forms part of the extensive Milky Way circuit. It’s one of the oldest resorts in France with records showing the first skiers arriving in 1907. 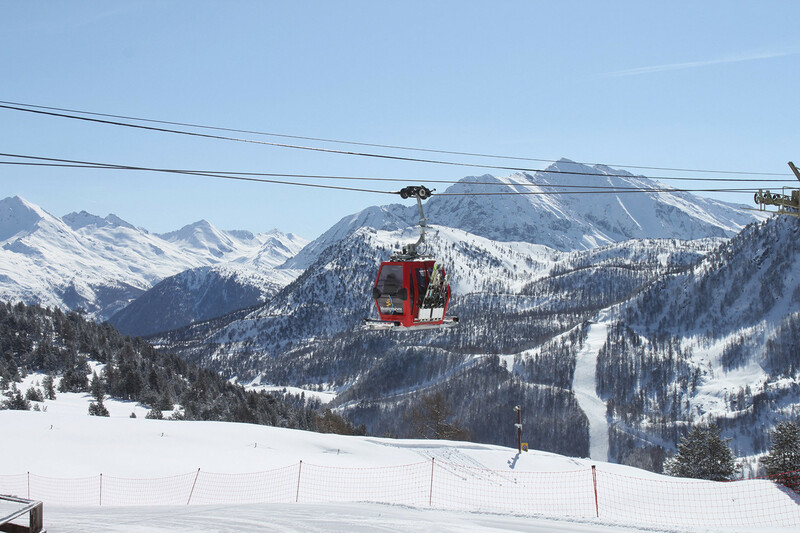 It’s the only French resort out of six resorts that are linked together via the ViaLattea circuit and is connected to the villages of Sestriere, Sansicario and Sauze D’Oulx in Italy. Sestrière and Sauze D’Oulx hosted the 2006 Winter Olympics and offer world-class terrain - that’s good news for experts who can access it just across the border. A cheap day extension gives piste-hungry skiers access to 400km of slopes in the Milky Way. The resort is located in the Briançonnais area, close to the Italian border, and has gorgeous views overlooking the Hautes-Alpes department in the Southern Alps region. The village sits at an altitude of over 1800m, on a minor pass, and is perfectly positioned to get snow from all directions – it therefore benefits from excellent snow cover. Snow-canons also now cover 55 per cent of the mountain, including most lower slopes. There is skiing on both sides of the mountain. On the north-facing Les Gondrans you’ll find rather lovely nursery slopes, with a dedicated beginner’s area, and the south-facing slopes of Le Chalvet are just behind the village. From Les Gondrans, you can access the on-piste link to Claviere and the rest of the Milky Way. Le Chalvet is a small mountain which the locals flock to. The village itself is traditional yet modern, convenient and compact and accommodation is centrally located. There are a variety of lodging options available, from quite sweet boutique hotels to more fashionable hotels and upmarket self-catered apartments. Many of these new lodgings have direct ski-in-ski-out access making them brilliant bases for families with tired little skiers. Several bars, restaurants and shops line the village’s main road and ski equipment hire shops are very good too. Alpine forests surround the village making it look particularly attractive when covered in snow and the locals are very friendly. Non-skiing activities include sleigh rides, snowmobiling, and snow-shoeing. But for those in search of something more thrilling, heliskiing in the neighbouring resort of Sauze D'Oulx can also be arranged. Heli-skiers will go off piste down the mountain and either be picked up by helicopter and taken back to resort or will be dropped onto another mountain for a second run. Prices start at £165 per person for one drop based on 4 people sharing. In 2013, a new road tunnel was built to divert traffic and as a result much of Montgenèvre has been pedestrianisedwhich makes for a more pleasant and safer village centre. Prior to the new infrastructure the resort had an issue with heavy traffic and pollution but it has once again returned to the peaceful Alpine town it once was, albeit slightly more stylish. Transportation around the resort, should you want to give your skied out legs a rest, is easy and a free shuttle bus service operates through the small village from 8.45am-5.45pm. Apres ski is quiet and the evenings offer a relaxed and calm atmosphere, ideally suited to those looking for a laid back atmosphere. Get snow reports and powder alarms from Montgenèvre straight to your inbox!